Mercedes Vito Mini Bus 9 Seats or Similar Car. 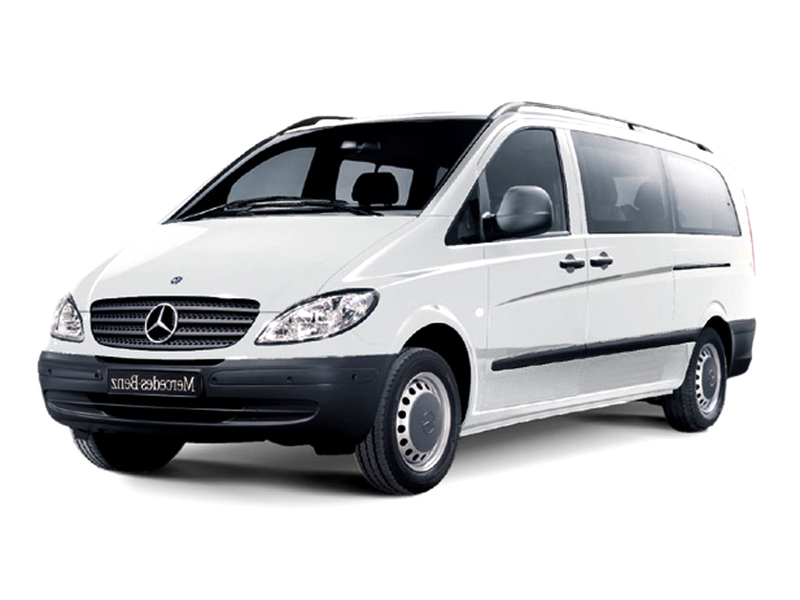 Drive in comfort during your holiday in Crete with a spacious 9-seater car, or even a 12-seater minivan. With additional seating that usually folds down, people carriers and minivans are perfect for families, large groups, people with additional luggage or people who simply enjoy the extra space on long drives. If you prefer better visibility of the road ahead, you will benefit from the higher seating position people carriers provide. Ready to book?